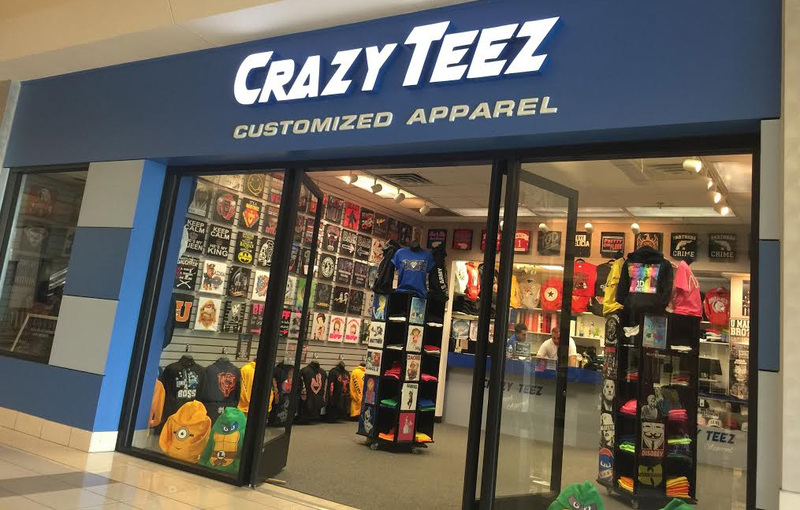 Crazy Teez Customized Apparel is a family owned and locally operated business conveniently located in CherryVale Mall Rockford, Illinois. Although Crazy Teez is a fairly new business established in 2014, it’s sister company Crazybrush Airbrushing has been in business since 1988. Here at Crazy Teez we print on shirts, hats, hoodies, shoes, and a variety of other items. We offer screen printing, vinyl lettering, iron ons, airbrushing, and direct to garment printing. With a variety of printing options customers can order as little as one or two shirts with little to no artwork set up fee. We also offer discount pricing on bulk orders. Stop by our CherryVale Mall location and let one of our friendly staff members help design a custom shirt you’ll love!